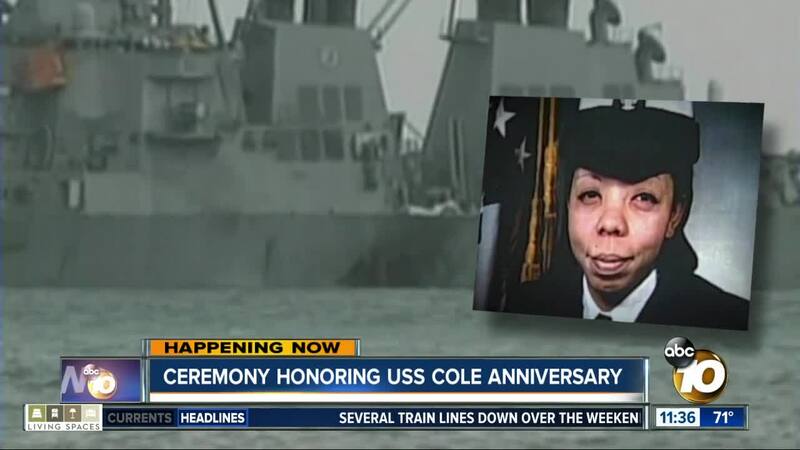 SAN DIEGO (KGTV) - A ceremony was held aboard the USS Midway Friday to mark the 18-year anniversary of the attack on the USS Cole. The Navy ship was bombed while in port in Yemen on October 12, 2000. Seventeen sailors died in the attack; among the victims was San Diego native Lakiba Palmer. "She was always positive, she was always happy," said Elizabeth Perez, who went through basic training with Palmer. Perez now works for the California Department of Veterans Affairs. She's been working to plan Friday's memorial, and it's brought back a lot of memories of her friend. "When you’re that young and you join the Navy, there’s so much promise," Perez said. "She definitely had so much promise. I’ll never forget her." The ceremony featured speakers including Mayor Kevin Faulconer, City Council President Myrtle Cole and a handful of representatives from various veterans organizations. Rear Admiral Cedric Pringle also spoke. 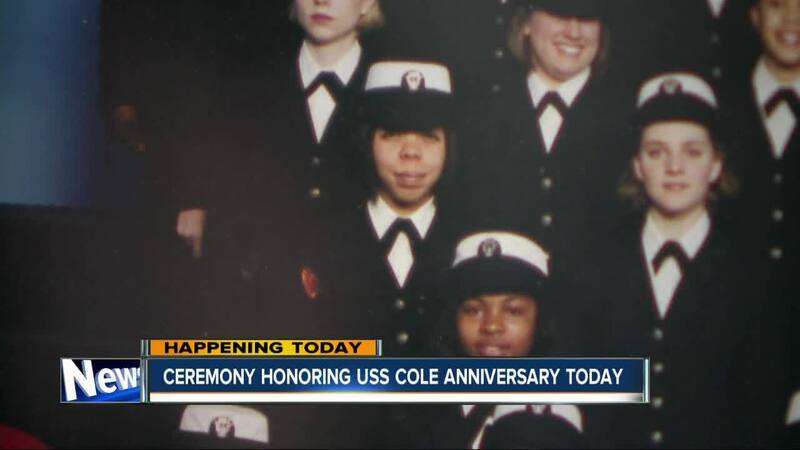 Palmer's family was at the event, as well as some of her shipmates from the USS Cole. Ret. Senior Chief Chris Regal, who survived the attack, said he will never forget the day that left a massive impact on his life. Regal said of Palmer, "At the time, she was working in the galley. Everybody has to do their time in the kitchen, you know, it's right of passage. And I remember every time I would come up and go get my tray and get my food, she would be the only one who would be smiling; that's what stands out the most -- the worst job on the ship and she's just sitting there smiling." Perez said it's important that events like this continue so that Palmer's memory, and the memory of the other fallen sailors, isn't forgotten. "That’s our job as veterans, my role at CalVet, to continue for generations that we’re able to tell their stories,” Perez told 10News. In 2015, a street formerly known as Lise Avenue in Chollas View was renamed Lakiba Palmer Avenue. Palmer and her family lived in a home on Lise Avenue.